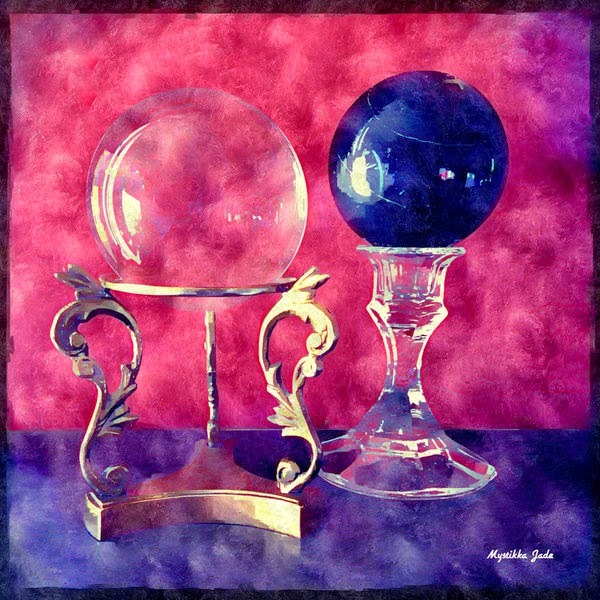 Since 1993, I've been providing professional, confidential psychic readings and other metaphysical services for clients. The work I do isn’t just my career; it's a spiritual calling on my life. I specialize in understanding relationship dynamics and uncovering solutions to interpersonal issues. I'm brutally honest, yet compassionate when relaying information. To learn more about my professional experience and credentials, please read my BIO. Empathy is my dominant psychic sense. This allows me to pick up on feelings, personalities, intentions, fears, hopes as well as some thoughts and actions of not just my clients, but those who are connected to them in love, family or business relationships. My second-strongest sense is clairaudience, followed by claircognizance. I am clairvoyant in the sense that spirit gives me visuals as metaphors to illustrate messages to those I am reading for. Throughout the 90’s, I used the tarot in nearly all of my readings. Although I do not require the use of cards to discern information, I do still use them with some clients to validate what I am intuiting or to pick up additional clues and perspective. I read natal, synastry and solar return charts. Please provide me with the birth data of both parties (date, month and year - exact time and location if possible) preferably 24 hours prior to our appointment, if you would like me to read your charts. I keep many crystals and stones from my collection around me during readings. The gems I am drawn to while tuning into a client provide me with information about their needs, based on the metaphysical meanings and energies of each stone. Dream visuals have different definitions for different people. Therefore my Dream Interpretations have never been based on standard definitions in a book. I take into consideration all of the fragments of a dream a client can recall (symbols, visuals, feelings and other experiences) and how they fit together, in accordance with the client's paradigm, when formulating an interpretation. *Disclaimer – I won’t remember your dreams for you, or see into them on my own. I will need you to tell me about your dream and then I can use my skills of interpretation for you. I am Certified as a Life Coach, Hypnotist and NLP Practitioner. I have obtained tools to help my clients re-program the subconscious mind in order to support emotional healing, eliminate stress, break habits, overcome fears and accomplish other goals. Energy work can help to clear blockages, promote psychic protection and emotional healing, or to assist with manifestation. Energy work can involve the use of sound, visuals, movement and spoken word – and can also employ the use of crystals, candles, incense or specially prepared baths. MANDATORY - Before scheduling a session with me, please read my list of DISCLAIMERS.